MARLBOROUGH, Massachusetts, March 25, 2019 /PRNewswire/ -- CardioFocus, Inc., a medical device company dedicated to advancing ablation treatment for atrial fibrillation (AFib), today announced the European CE Mark approval of the HeartLight X3 Endoscopic Ablation System. The HeartLight X3 System is a third generation technology building upon the advanced features of the HeartLight Endoscopic Ablation System, which performs pulmonary vein isolation (PVI) using laser energy to create lines of scar tissue to block the abnormal electrical pathways that cause AFib. 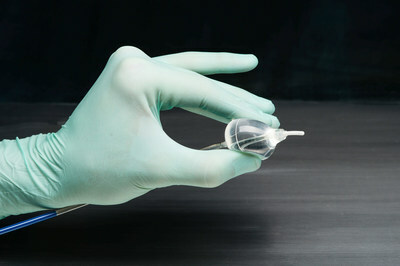 Using direct tissue visualization, titratable laser energy, and compliant balloon technology, the HeartLight X3 System's unique RAPID mode leverages a precise motor control system that enables uninterrupted, high-speed, circumferential lesion creation under direct control of the physician resulting in consistently reduced procedure times. "Our clinical results using the HeartLight X3 System have been outstanding, with unprecedented treatment speed and precise lesion creation," said Boris Schmidt, MD an investigator in the pivotal confirmatory trial at Cardioangiologisches Centrum Bethanien in Frankfurt, Germany. "Based on our experience with the device, we feel confident that the HeartLight X3 System is poised to change the way AFib ablation is performed in Europe." "We are eager to begin the commercialization of the breakthrough HeartLight X3 System in the European market," said Burke T. Barrett, President and Chief Operating Officer at CardioFocus. "In partnership with our physician users, we are committed to continued innovation and delivering the best treatment modalities in the AFib ablation space." CardioFocus is a medical device innovator and manufacturer dedicated to advancing ablation treatment for cardiac disorders such as atrial fibrillation (AFib), the most common heart arrhythmia. The company's FDA-approved HeartLight Endoscopic Ablation System has successfully treated more than 6,000 patients in the United States, Europe and Japan. The HeartLight System is a revolutionary catheter ablation technology that along with direct visualization and titratable laser energy, represents a new standard for AFib ablation. CardioFocus is headquartered in Marlborough, MA. For more information, visit www.CardioFocus.com. 3 Zoni-Berisso, Massimo et al. "Epidemiology of Atrial Fibrillation: European Perspective." Clinical Epidemiology 6 (2014): 213–220. PMC. Web. 25 July 2017.